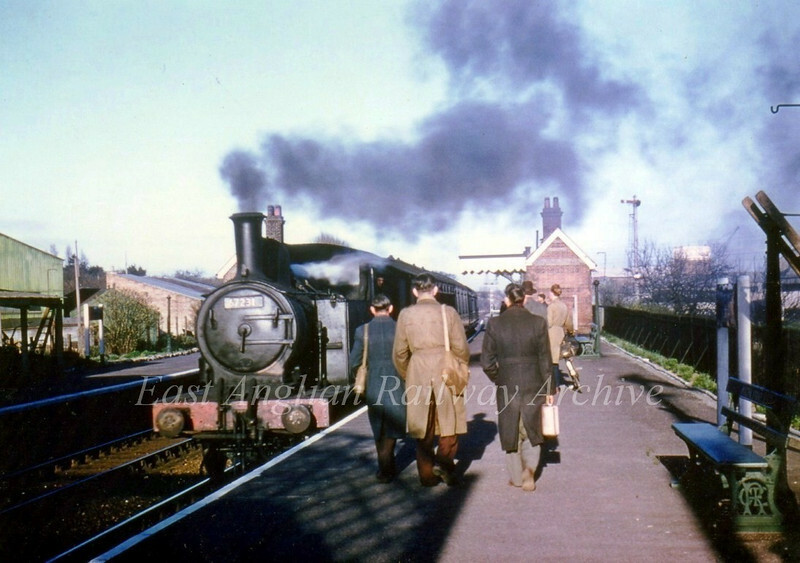 Holden Class F6 67231 arrives at Oulton Broad North on a Norwich Service c1955. The engine was built in 1911 and withdrawn on 31st March 1958. It's last shed location was Lowestoft 32C. From a transparency by John Baker of Lowestoft.